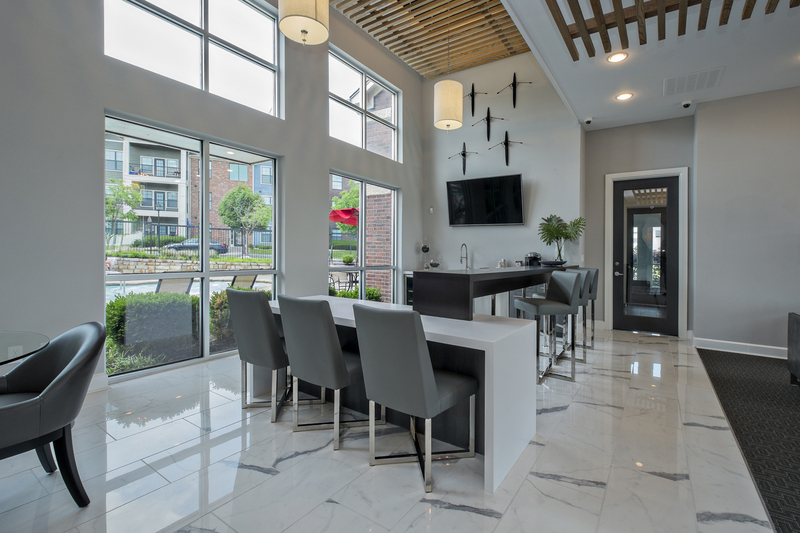 Tour the photo gallery to get a small taste of the many features available in this apartment community. 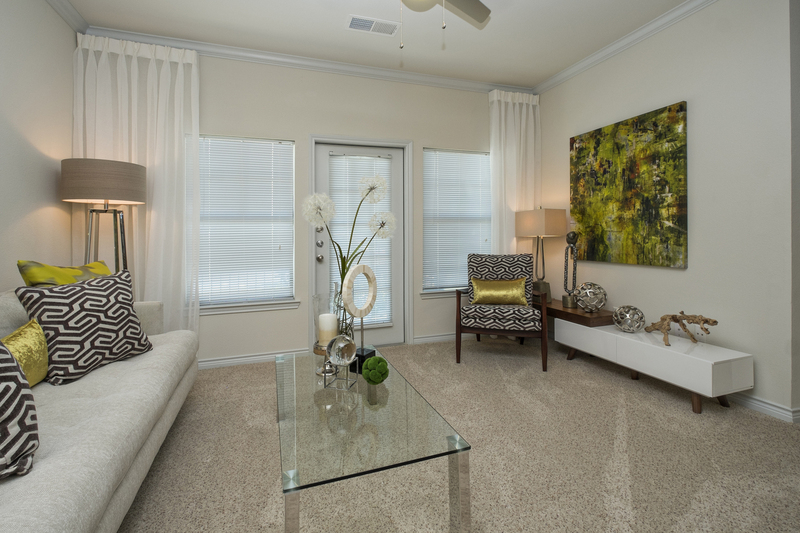 Each carefully considered “extra” exists to raise your level of comfort as well as your standard of living. 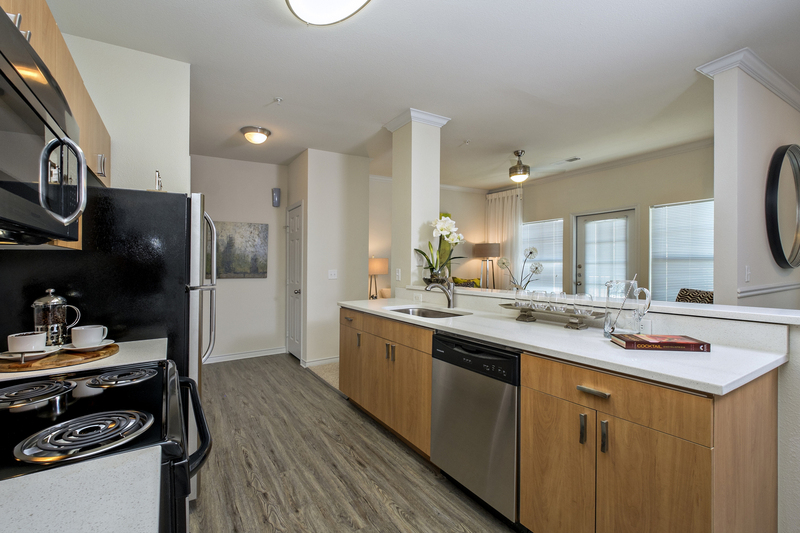 As the heart of your home, you want a kitchen that breathes life in your apartment. 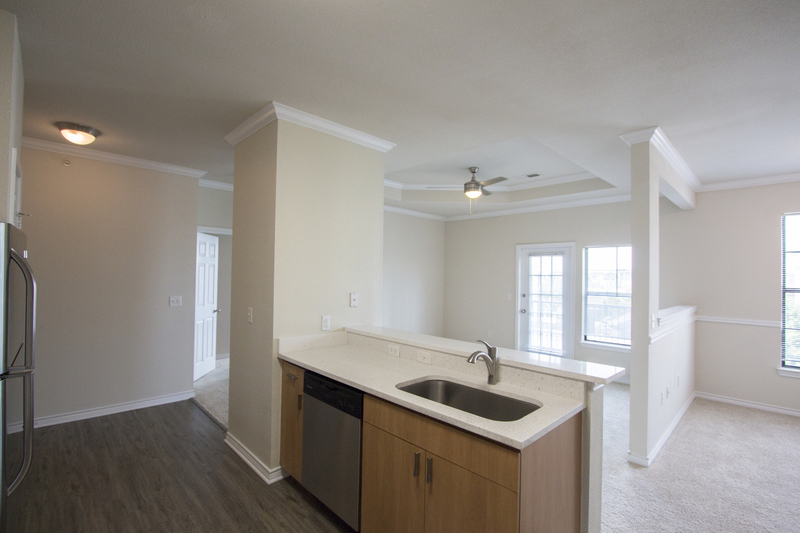 The kitchens in New Longview Apartment Homes won’t disappoint. 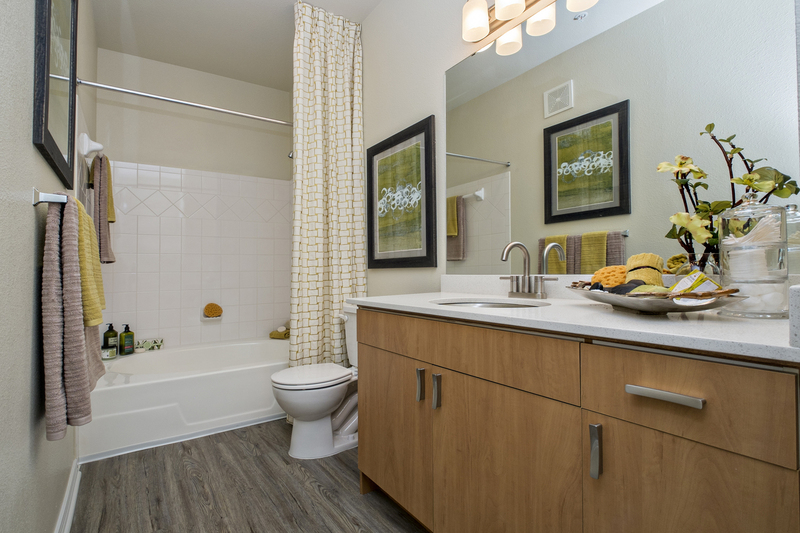 The wood-like floors and quartz countertops add contemporary appeal and are easy to maintain. 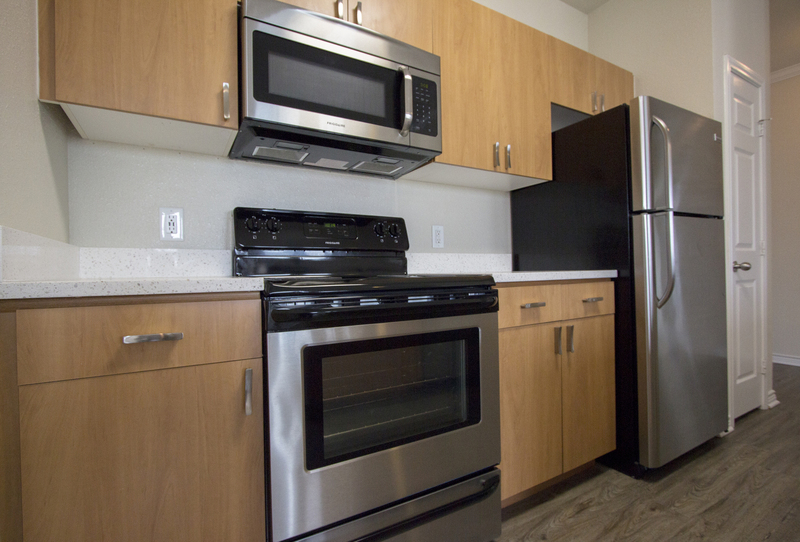 The oven range, dishwasher, refrigerator and above-range microwave are all stainless steel. 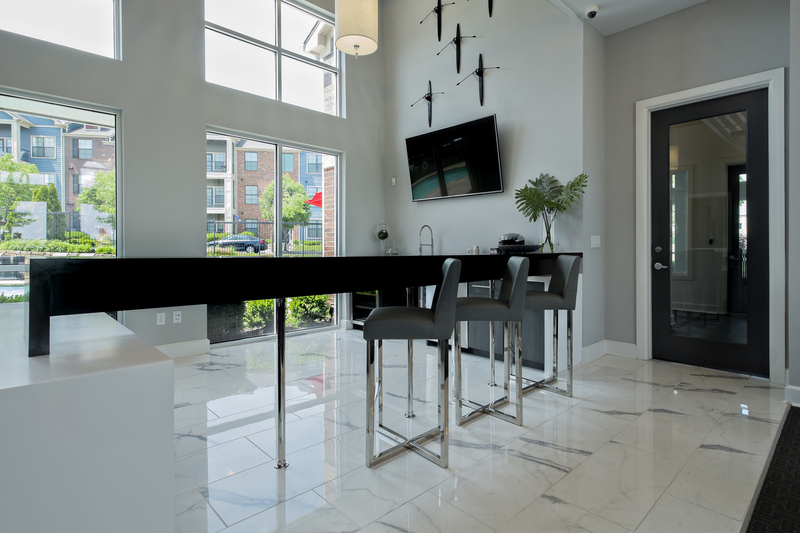 This look is enhanced by the silver hardware that shines on the wooden base and wall cabinets. 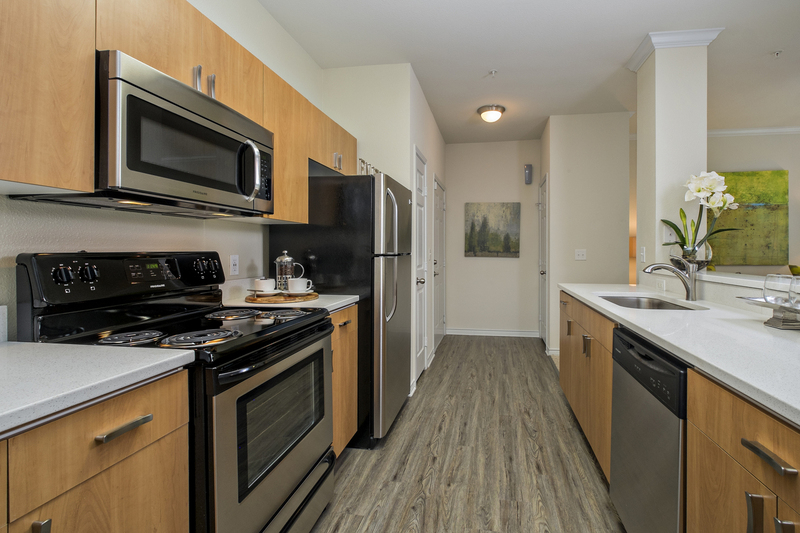 Additionally, each kitchen has USB ports, so you can charge while you cook. 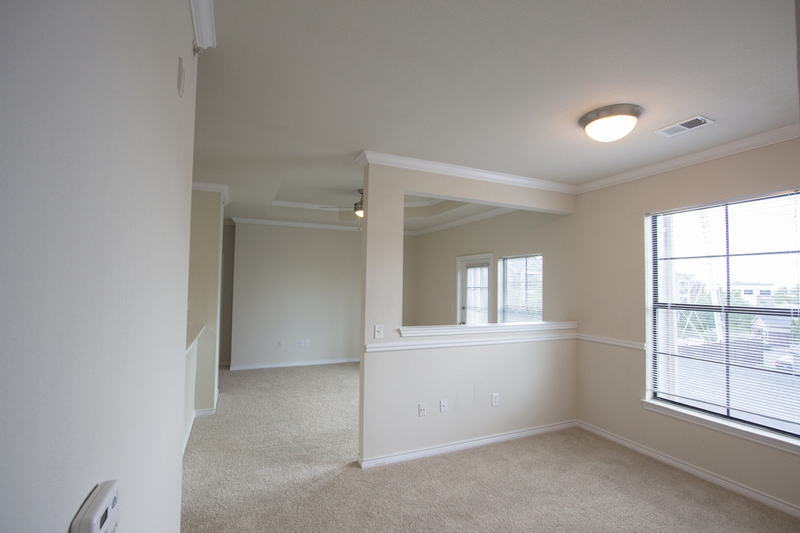 Outside the kitchen, the living and dining spaces are comfortably covered in soft beige carpet. 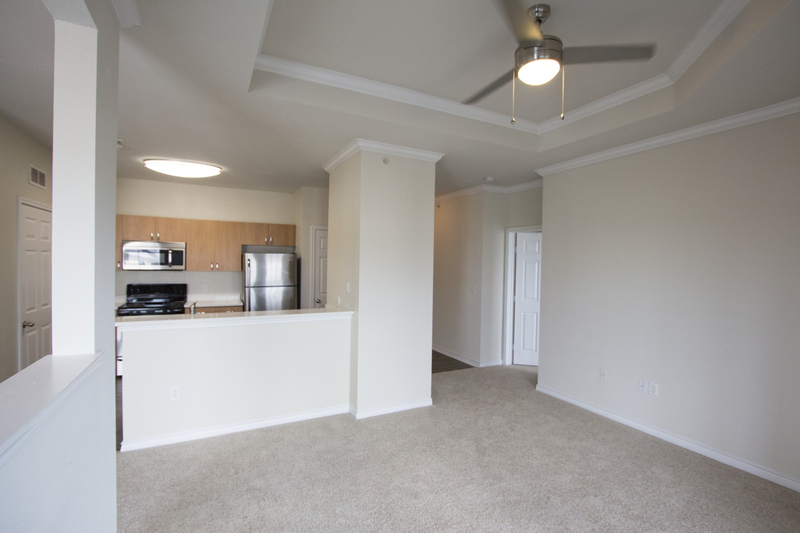 The large windows and the glass-paned door leading to the balcony fill the apartment with natural light. 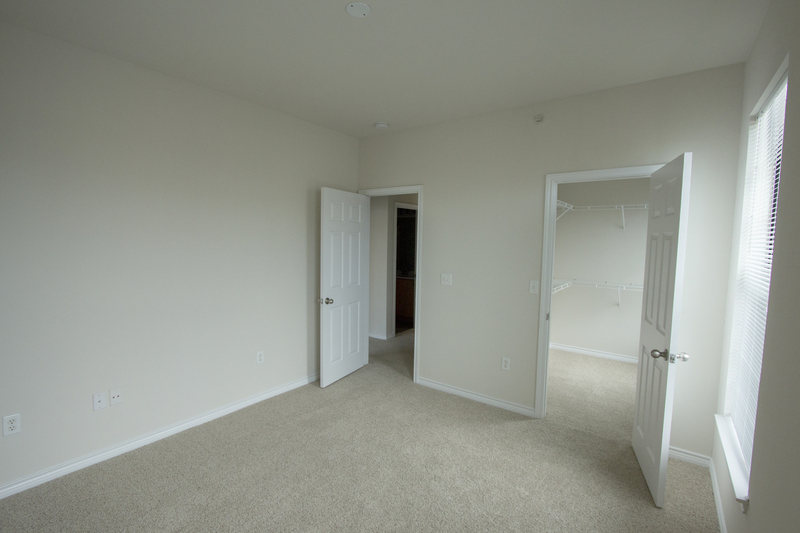 Similarly, the bedrooms include several windows, plush carpet, and walk-in closets. 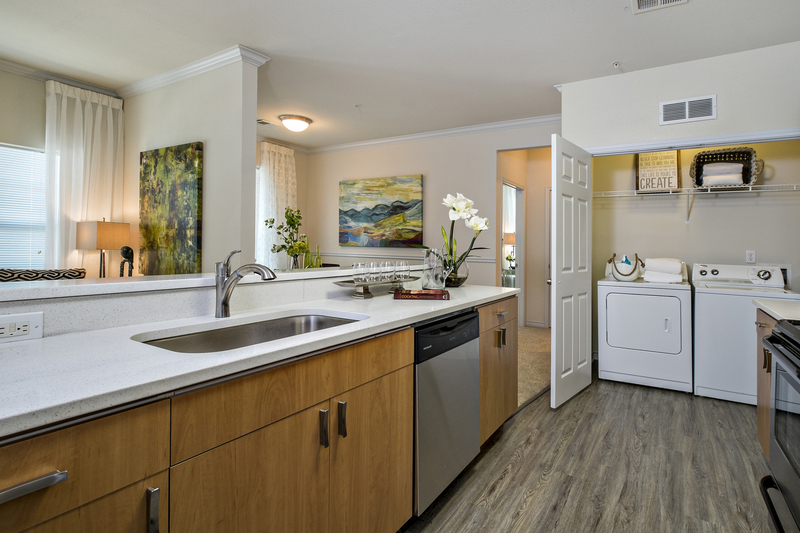 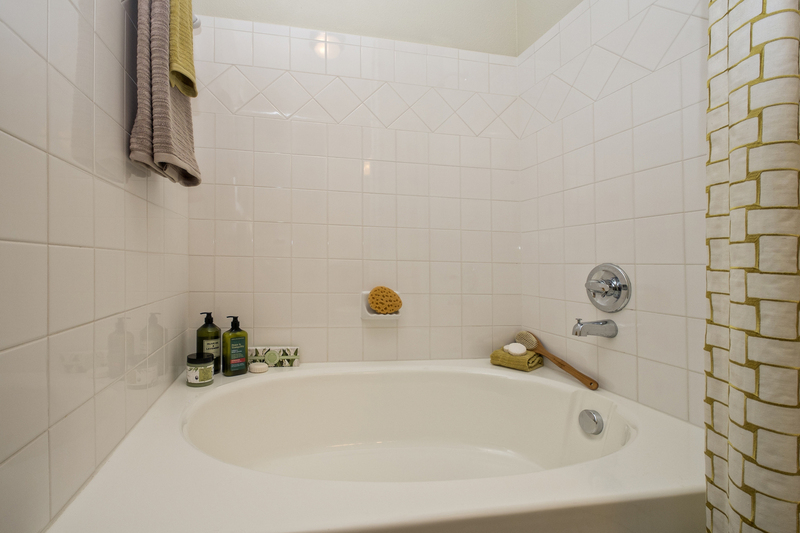 Beyond these features, each apartment also offers a full-size washer and dryer. 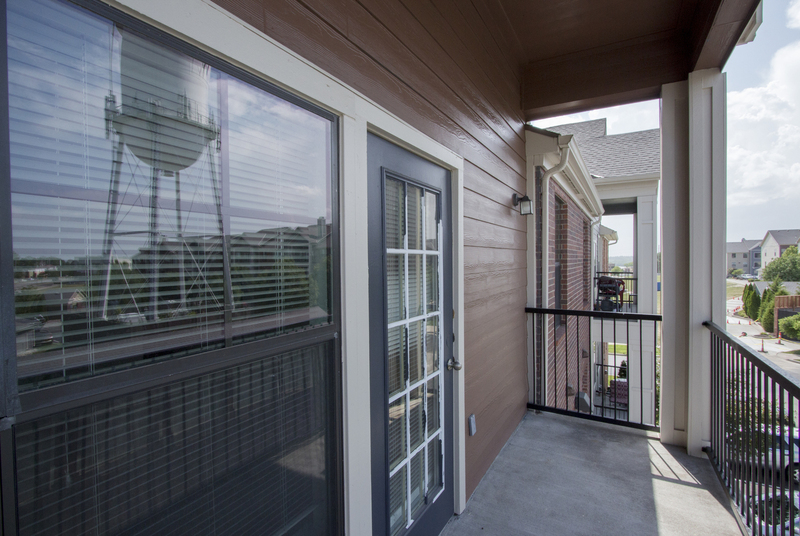 Of course, when you rent your next apartment at New Longview, you’ll gain access to a fantastic array of community features, too. 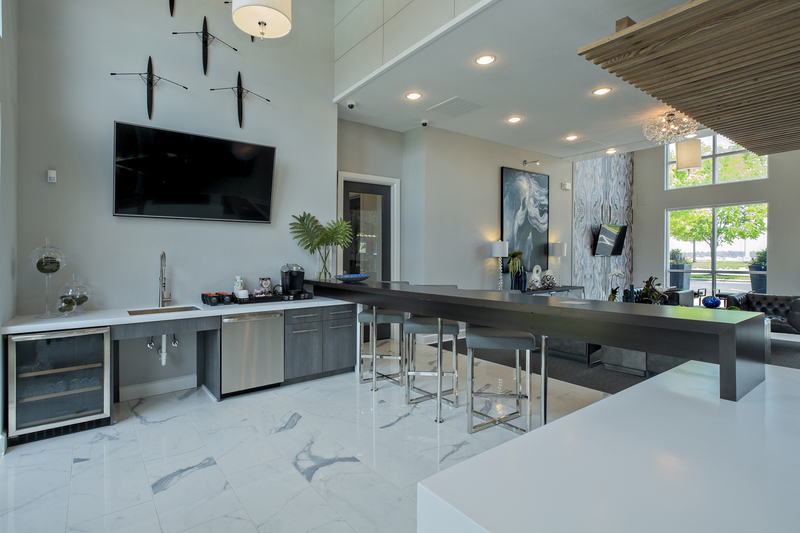 The impressive clubhouse provides a place to entertain or mingle with friends and residents. 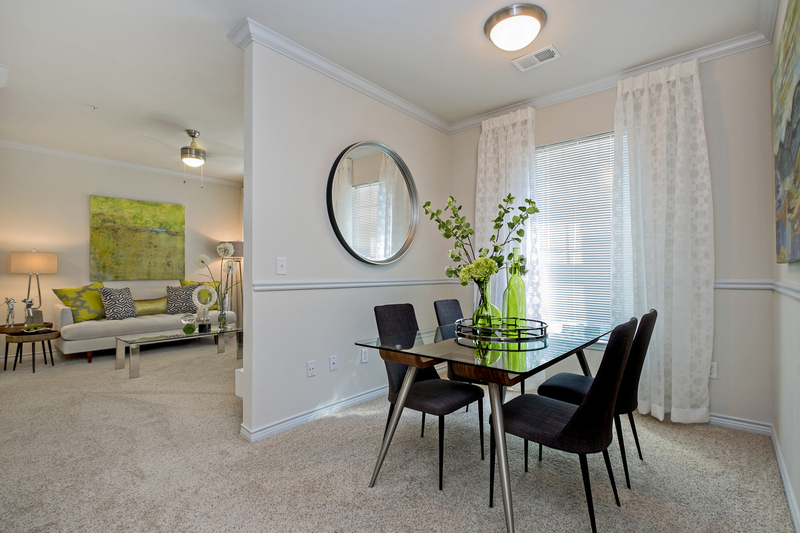 You can fill your cup with complimentary tea or coffee and sit down in front of the flatscreen TV. 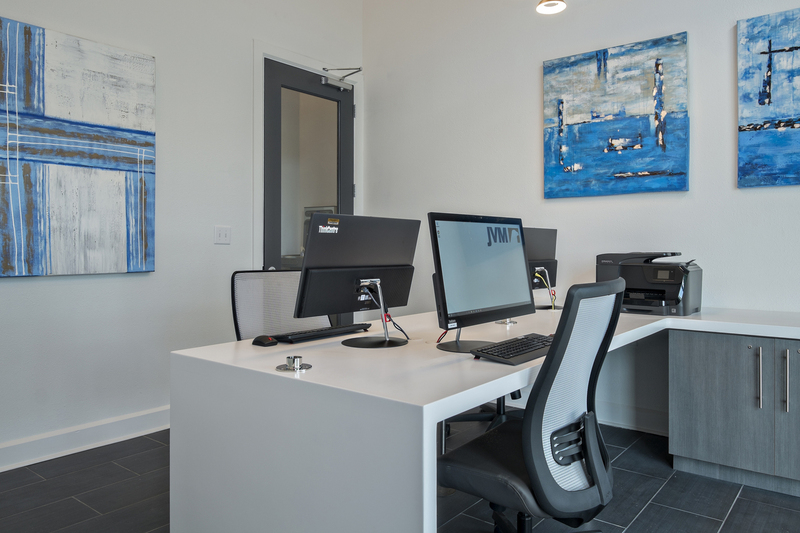 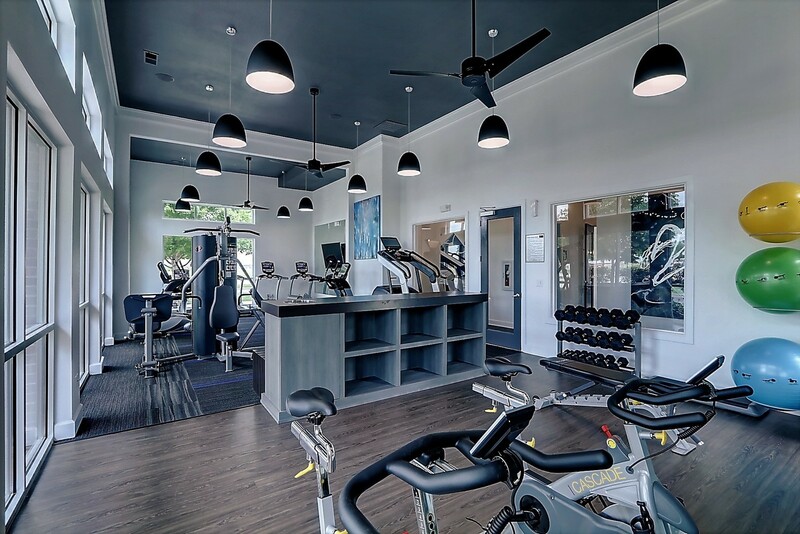 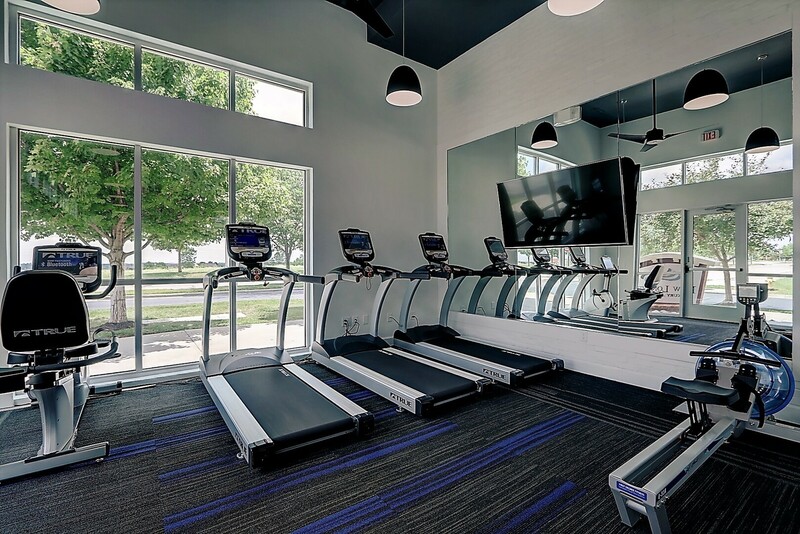 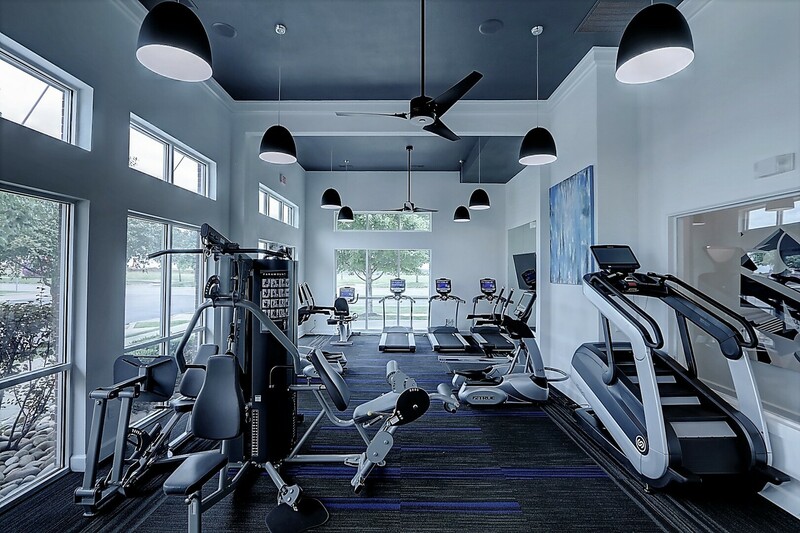 The fitness center is open around-the-clock and is equipped with WellBeats guided fitness programming, so you can forego the personal trainer. 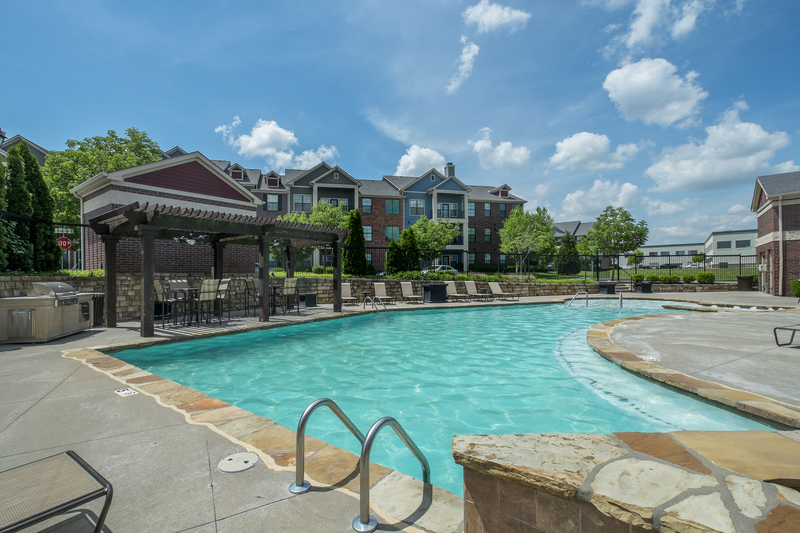 Outside, the swimming pool has both a shallow wading area and a deeper area perfect for swimming laps or floating lazily. 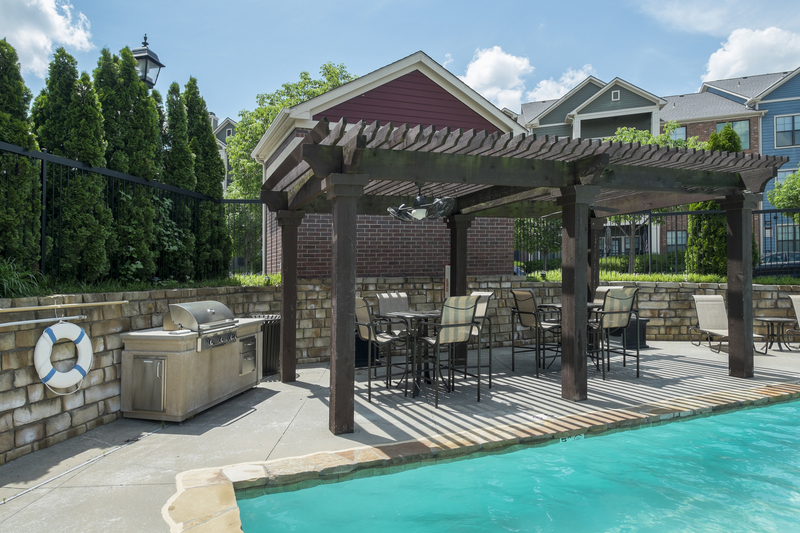 The ideal place for a summer cookout, the pool also has a sundeck and a poolside grilling station. 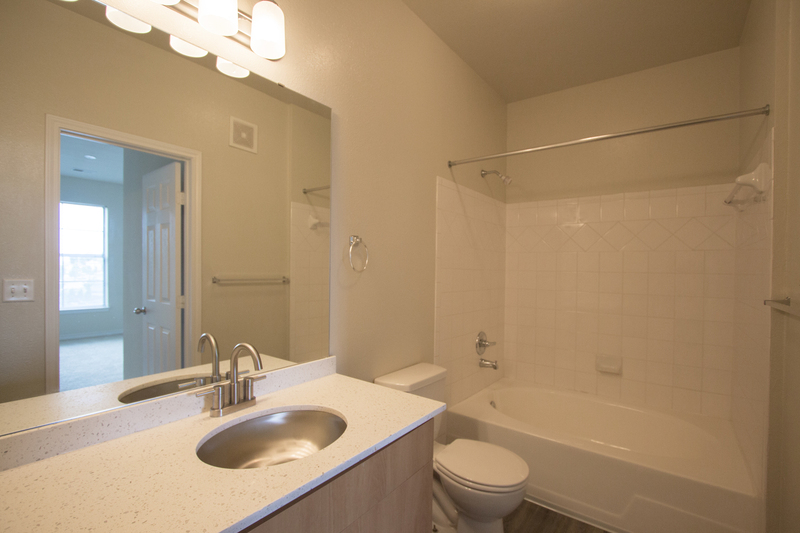 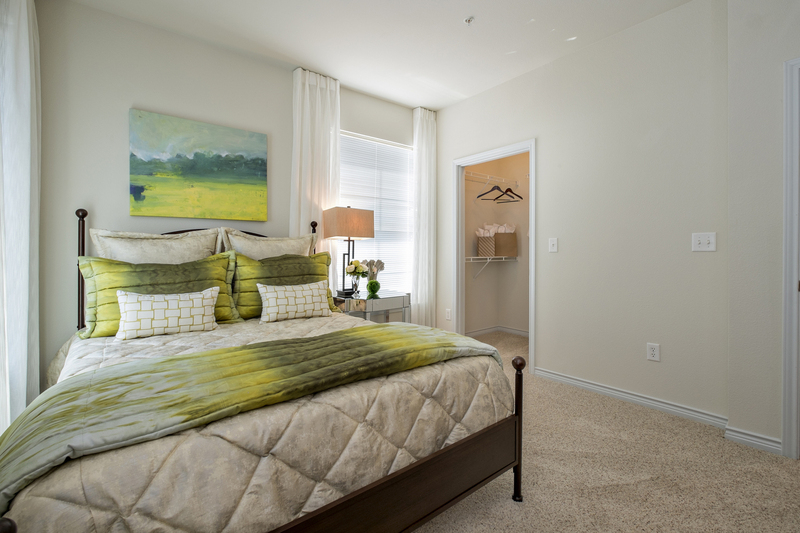 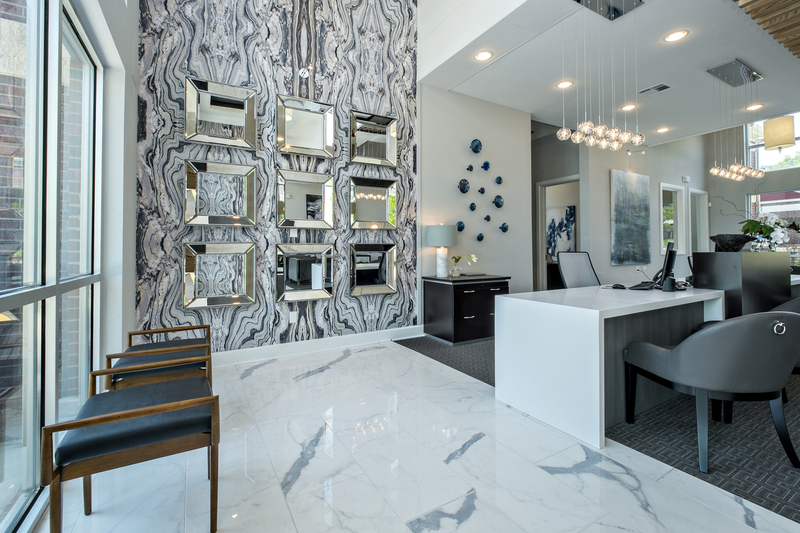 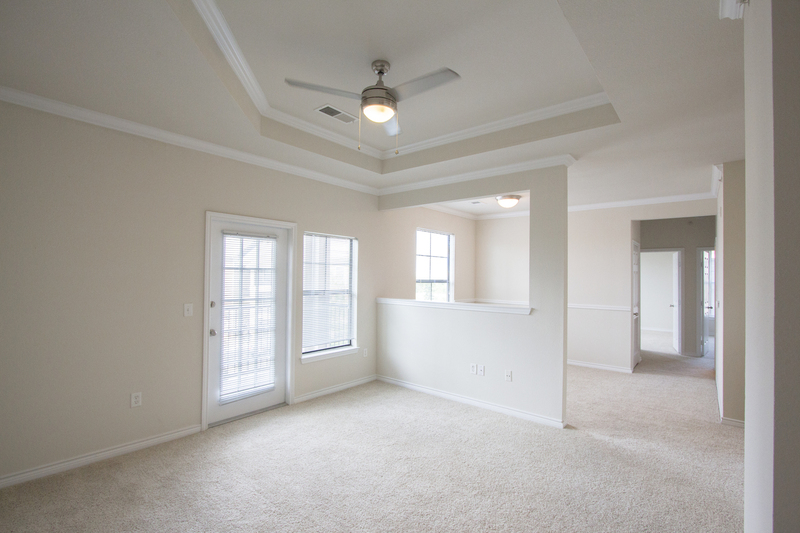 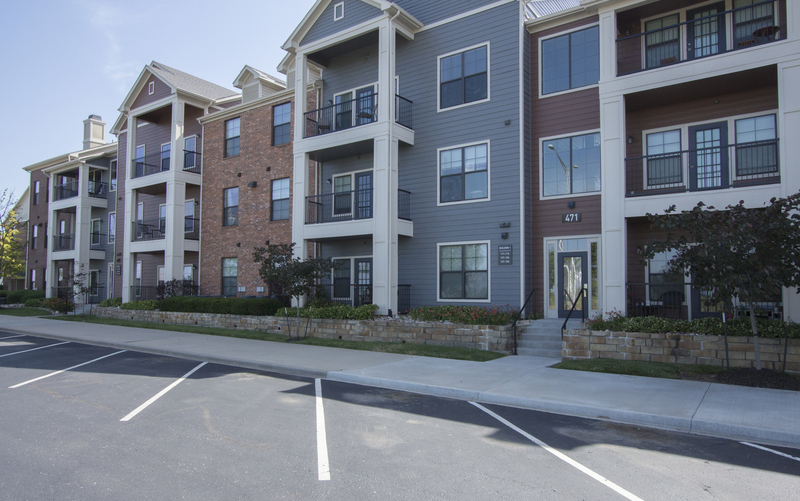 The apartments for rent at New Longview are sure to surpass your highest standards. 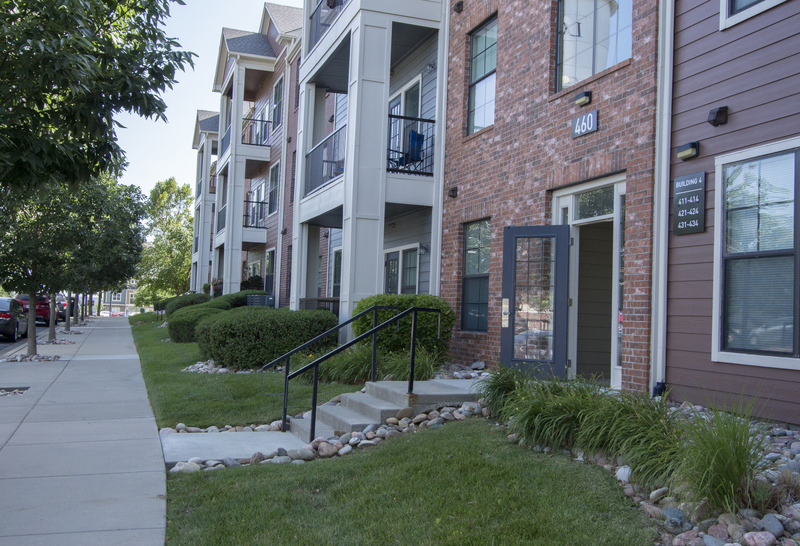 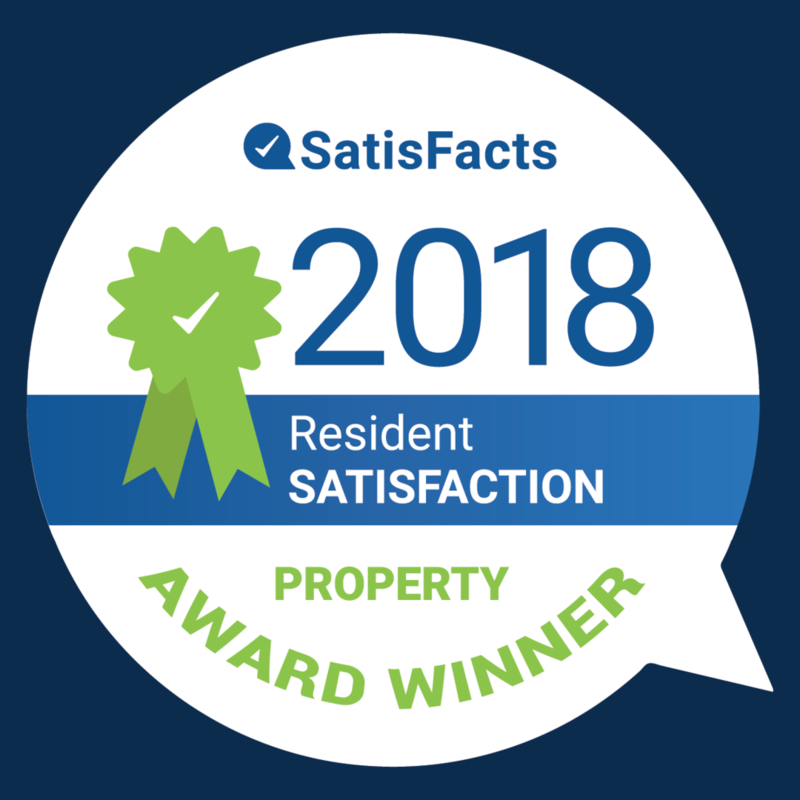 Schedule a tour of the community today.